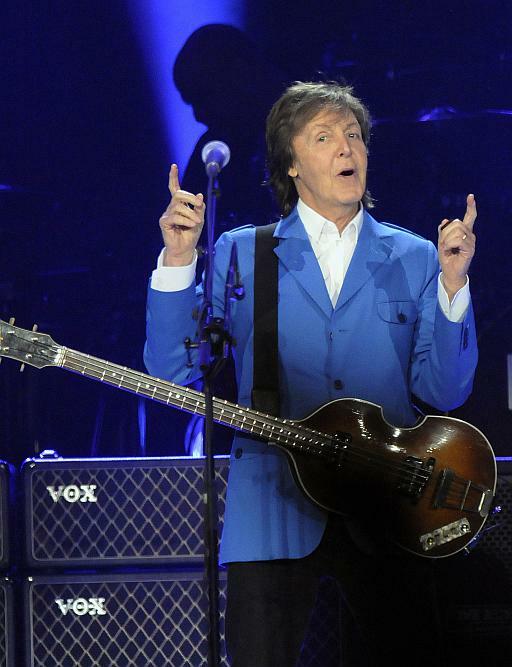 Sir Paul McCartney performs with his band during the “Out There" tour at the Times Union Center in Albany, New York. 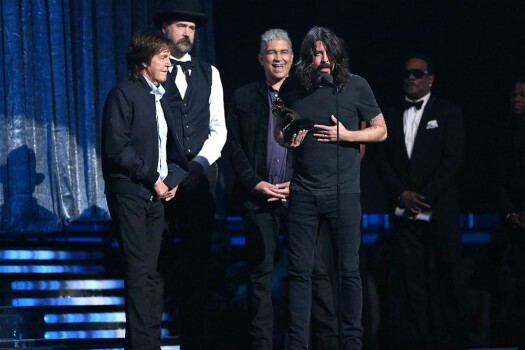 Paul McCartney, left, and Dave Grohl, right, accept the award for best rock song for “Cut Me Some Slack" at the 56th annual Grammy Awards at Staples Center in Los Angeles. 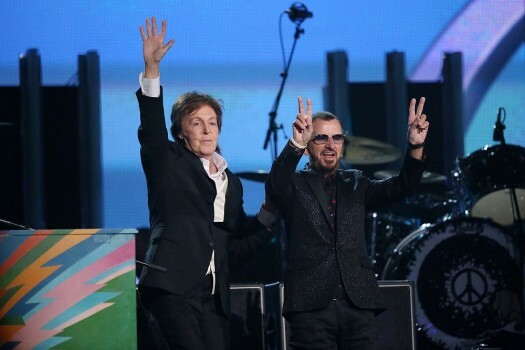 Paul McCartney, left, and Ringo Starr perform on stage at the 56th annual Grammy Awards at Staples Center in Los Angeles. 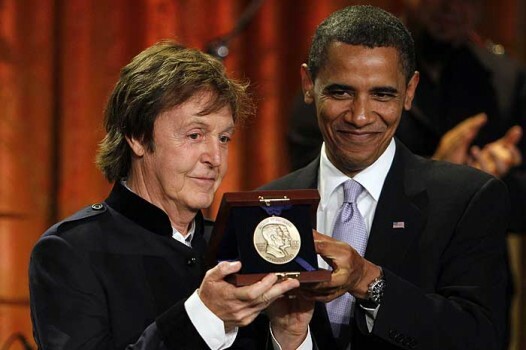 US President Barack Obama, presents Paul McCartney with the Gershwin Prize for Popular Song in the East Room of the White House in Washington. 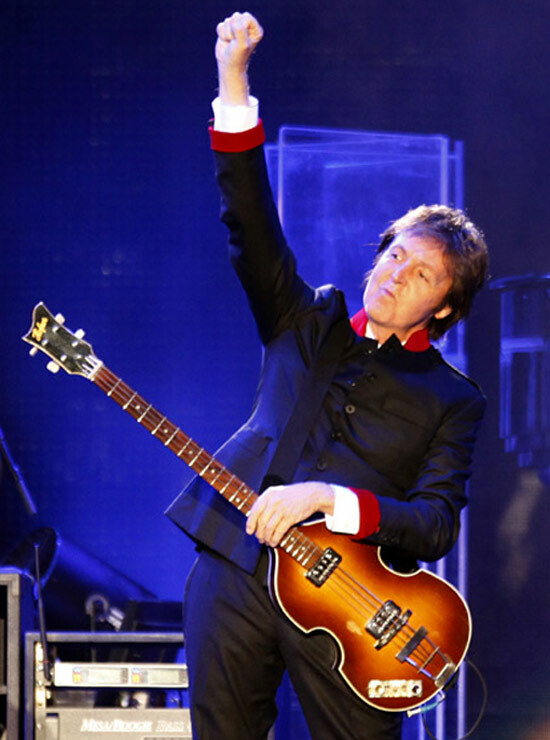 Musician Paul McCartney performs during his 'Up and Coming' tour at the Foro Sol in Mexico City. "As you know, one of my best friends was shot not far from here. 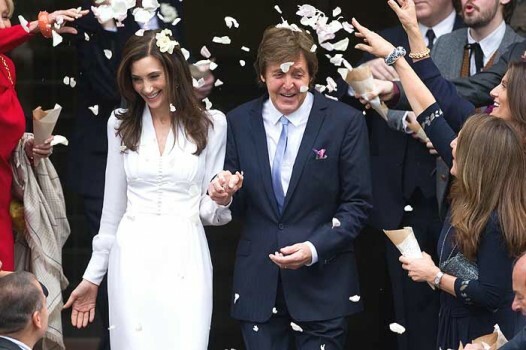 It is important to me," McCartney told CNN. 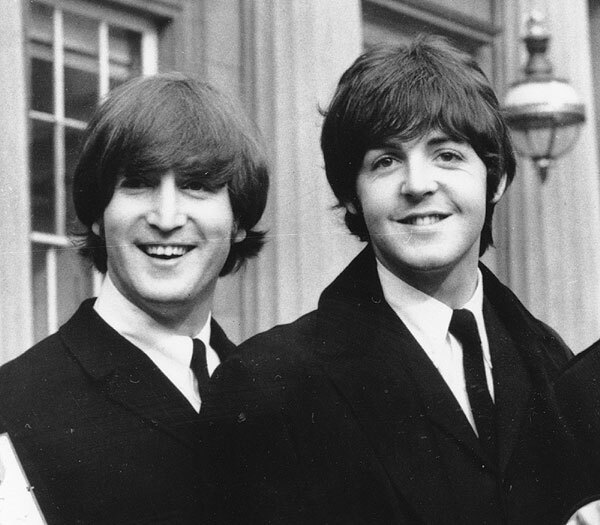 The musician filed the suit in New York seeking a declaratory judgement that restores his ownership to the songs he created as part of the band.